Have you heard of OCC Lip Tars? They're these amazing magical concoctions that work as some kind of liquid lipstick. You need the tiniest little bead of product to get a super saturated color on your lips that's supposed to last for hours. You can watch a demo here on how to apply it (and a warning, they're not lipglosses so do not apply as one!). Ok, so that's pretty cool right? Well it gets cooler. One of their employees, January Hunt, is fundraising to have gender reassignment surgery, and OCC (along with January) have created a lip tar specifically for this cause! The color, a hot pink designed by January herself, is limited edition and will only be sold through this fundraiser. For a donation of $25 you get a limited edition lip tar and get to contribute to a great cause, 100% of the money goes to January. This is the Indiegogo page where you can donate. There's 13 days left in the fundraiser and she's almost to her goal, let's help her get there. 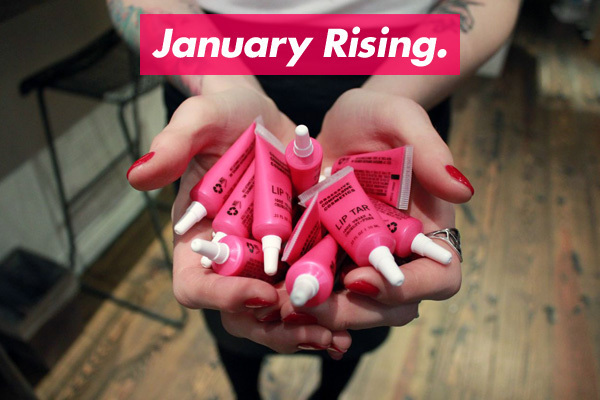 Head on over to read more about January, and hopefully get yourself a lip tar (I already did!). If you can't donate the $25, you can always go lower as any little bit counts.